Bob Heil K9EID (front) and Joe Walsh WB6ACU at the IC-7800 position. Joe Walsh WB6ACU operating the IC-7800 at W1AW. 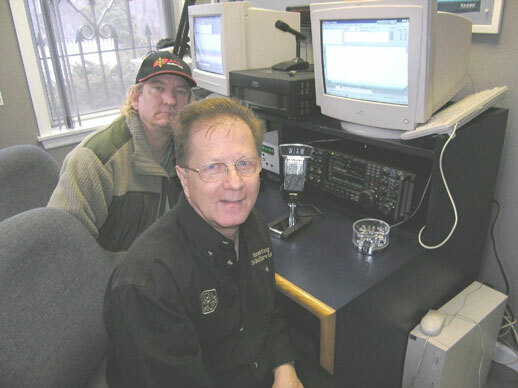 Bob Heil K9EID and Joe Walsh WB6ACU visited ARRL HQ in Newington CT on March 5 - 6, 2004, to operate W1AW during the ARRL International DX Phone Contest, and to visit with League staff and donors. 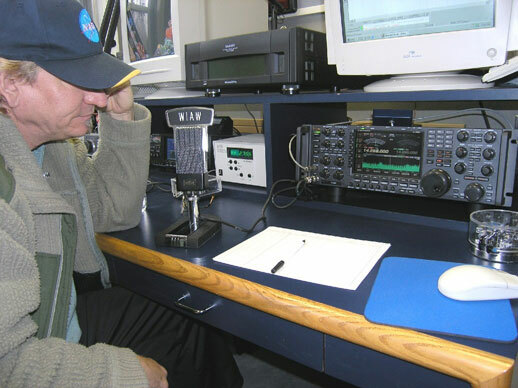 They also took advantage of a unique opportunity to operate an IC-7800 at W1AW. Bob reports: "So much fun and THAT was the first real outing for the 7800. Worked perfectly for two days straight with six hours solid carrier on AM !....never even got real warm to the touch !" Photos copyright © 2004, Bob Heil K9EID. All rights reserved. Page layout and content copyright © 2004 A. Farson VA7OJ/AB4OJ. All rights reserved.